Posted on August 20, 2016 at 12:00 pm. For anyone aspiring to be a professional actor, knowing your craft is only half the battle. You also need to know how to go out into the real world and find paid acting work. 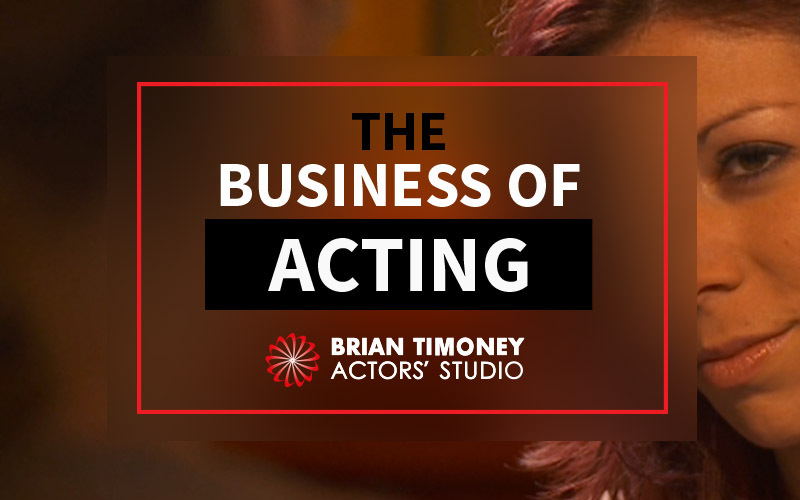 Understanding the business side of the acting industry is absolutely crucial if you want to make a living as an actor. If you can get to grips with these less artistic elements of the acting life, you will be well on your way to making a career for yourself as a professional actor. No matter how good an actor you are, if nobody knows about you then you aren’t going to get any work. Making sure the right people are aware of you and what you can do is absolutely fundamental. So how do you do that? The first step is to put together a proper promotional package to send to casting directors and agents. This should include your actor’s CV, a set of professional-quality head shots and, ideally, a professional-quality acting showreel. A package containing all three of these elements will effectively demonstrate to industry gatekeepers that you have the skills and experience they are looking for. It also allows them to judge the kind of roles you might be suitable for. That way they can start offering you appropriate auditions or recommend you to other industry professionals who may be able to offer you work. In the modern digital age, it’s increasingly easy (and important) for actors to market themselves online. There are several ways you can this but the most popular and effective are creating a website with the same information found in your promotional package and making good use of social media. The old saying “it’s not what you know, it’s who you know” isn’t entirely true, but it’s not completely false either. The truth is, success in the acting industry is about what you know AND who you know. Getting to know the right people means when opportunities arise, they can give you the chance to take advantage of them. You still need the skills to make the most of those opportunities, but to get your foot in the door, knowing a good selection of industry insiders definitely helps. When it comes to networking, remember it’s about what you can offer, not just what you want to get out of it. If the instant you meet a casting director, more successful actor or agent, you immediately ask them for a favour you are likely to annoy them more than anything. Make sure you take the time to get to know people and see what you can offer them before asking for anything. Once they know who you are and what you can do, you shouldn’t have to beg for favours. They should be happy to help you because they will know that you have something genuinely valuable to offer to them and their contacts. To make the most of your networking time, you need to know where to go and who to speak to. Do your research and find out which casting directors, agents and other industry figures are involved with the kind of projects you would like to work on. You can then identify the kind of industry events, bars and clubs where the people you want to connect with are likely to be. One you get in a room with someone you want to connect with, be brave and go say hello. A large part of succeeding is simply having the courage and self-confidence to put yourself out there. Once you have introduced yourself, find common ground and make sure to ask plenty of questions about their work while also making sure you communicate your own career ambitions without directly asking them to help straight away. Make sure to get an email address or details of their social media accounts so you can stay in touch. Then you just have to keep in contact with them and make sure to always say hello if you see them at other events in future. That way you can strengthen your connection and hopefully be introduced to their own connections, growing your own industry network. Pretty much every serious professional actor has an agent. It’s their job to get you meetings and auditions with casting directors, directors, producers and anyone else who can offer you work. They can also chase up people for you after an audition and talk you up to increase your chances of landing a role. They’ll negotiate on your behalf when you are offered a gig and a good agent will get you more money with better terms than you would be likely to achieve representing yourself. An experienced agent will know a lot more people in the business than you could ever hope to, so will hugely increase the opportunities available to you. How do you get an agent? Again, you need to do your research. Find a list of acting agencies who cover the geographical area you are looking to work in. Make your own list of agents who have a track record of successfully representing actors like you for the kind of work you are interested in. Then get in touch with each of these agencies with your actor’s CV, head shots and showreel, explaining who you are and the kind of work you are looking for. If your promotional materials are good enough, you should get multiple agents interested in representing you. You’ll then be in the lucky position of getting to choose which one you wish to go with. Ask them the right questions and you will be able to narrow the choice down to those best suited to your career aspirations. Then you simply have to make your choice and sign on the dotted line. Of course, getting auditions doesn’t mean you’ve made it. You need to actually win the audition in order to progress to the bit where you’ll start getting paid. Obviously a huge part of that comes down to how good you are as an actor, but there is also a whole load of audition etiquette that you need to know. Get this right and you’ll be judged purely on your acting. Get in wrong and you’ll be remembered for all the wrong reasons. The number one mistake so many actors make is turning up late for the audition. This is pretty unforgivable and it gives the impression you can’t be relied upon – not a great impression to give people you are hoping will hire you. Make sure you plan ahead, find out where the audition is taking place, how you will get there and how long it will take. Leave yourself plenty of time to get there and plan to be at least 10 minutes early so you have some leeway. The other key thing is to listen. Take in every instruction you are given and follow them. If you can’t take direction in an audition, it’s not a good advert for your ability to take it on stage or in front of a camera. You may be able to offer your own creative input, but judging when this is appropriate can be tricky. One thing all professional actors need to do is to learn to deal with rejection. Most jobbing actors will lose far more auditions than they win, that’s just the nature of the game. This isn’t to say that you’re a bad actor, but there’s a lot of competition and not every actor is right for every role. Understand this and accept that you will probably have to go to dozens of auditions you don’t get for every one that you do and you’ll have a more realistic approach to the business and how hard you need to work to succeed. Being a professional means acting professionally. This doesn’t begin and end with the audition, it applies throughout every stage of the acting process. Be polite, punctual and pleasant to work with and people will offer you work again. Be rude, unreliable and make people’s lives difficult and you’ll soon find yourself struggling to get hired. Remember, people in the industry talk to each other, so if you annoy one director or casting director, word will get around. Acting often involves long hours, lots of waiting around and high amounts of stress. Being able to remain calm, focused and professional will make you an asset not a liability. Always be willing to listen, offer an opinion where appropriate and, above all, work really hard. Earn a reputation for professionalism from day one and you can begin building your career on a solid foundation. Being a professional actor means getting paid for you work. This is fantastic, of course, but getting your head around the financial side of the business can be off-putting. As an actor you will generally work on a self-employed basis, which means your first priority should be to register as self-employed. You will need to get to grips with invoicing, tax, national insurance and claiming expenses. You should also consider insurance and pension schemes as there is no sick pay or final-salary pension for an actor. The other thing to remember is that you are unlikely to have a steady income each month, so it is absolutely crucial to get the hang of budgeting and saving. Live within your means and make sure you put money aside when you have a good month to keep you going through the lean times. Although we are talking about the business of acting rather than the craft of acting, the two are obviously interconnected. The more you learn as an actor, the better you will be and the more opportunities you are likely to get. This can mean taking acting classes, but may also involve developing additional skills such as stage fighting, stunt work or horse riding. Plan out the kind of acting work you would like to pursue, then do some research and find out what skills might help you with that kind of work. Not only will this give you useful, industry-relevant knowledge, it will also look good to agents and casting directors as it demonstrates that you are a hard worker who takes their career seriously and is open to learning and developing. Learning how to negotiate the business side of the acting industry can take years, while many actors never get the hang of it at all. The sooner you get to grips with the business of acting, the sooner you can start supporting yourself as a professional actor. Our One-Year Ultimate Acting Programme not only offers the UK’s leading method acting tuition, it also includes a comprehensive introduction to the business side of the industry. 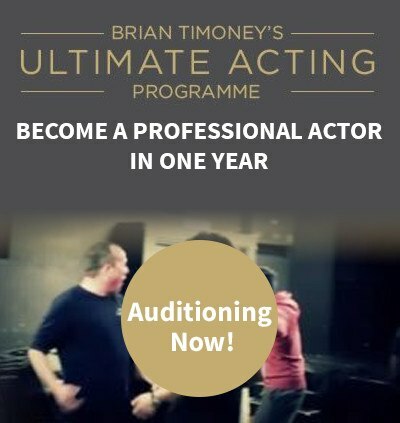 The Brian Timoney Actors’ Studio takes the uncertainty out of making a career as an actor by teaching you everything you need to know to go out and start getting professional acting work straightaway. To find out more, please take a look around the rest of the website and, if you have any questions, please don’t hesitate to get in touch.